With the increase in cross-border trade and a competitive climate in India, confidentiality, non-compete, and non-solicitation agreements are becoming increasingly popular with terms ranging from a few months to several years after the employment relationship are terminated. Every agreement by which anyone is restrained from exercising a lawful profession or trade or business of any kind, is to that extent void. Section 27 of Indian Contract Act stipulates that an agreement, which restrains anyone from carrying on a lawful profession, trade or business, is void to that extent. However, as exception, if a party sells his goodwill to another, he can agree with the buyer that he will not carry a similar business within the specified local limits. Upon a literal construction, Section 27 of the Indian Contract Act invalidates all the agreements that impose a total bar on the exercise of a lawful business. Although the section states that all agreements in restraint of any profession, trade or business are void, on many occasions, business exigencies require imposition of certain restraints. The attitude towards public policy is always subject to change in tandem with the change and development in trade and economic developments. Distance: suitable restrictions can be placed on employee to not practice the same profession within a stipulated distance, the stipulation being reasonable. Time limit: if there is a reasonable time provided in this clause then it will fall under reasonable restrictions. Trade secrets: The employer can put reasonable restrictions on the letting out of trade secrets. “The words ‘restraint from exercising a lawful profession, trade or business’ do not mean an absolute restriction, and are intended to apply to a partial restriction, a restriction limited to some particular place, otherwise the first exception would have been unnecessary… in the following Section (Section 28) the legislative authority when it intends to speak of an absolute restraint and not a partial one, has introduced the word ‘absolutely’ The use of this word in Section 28 supports the view that in Section 27 it was intended to prevent not merely a total restraint from carrying on trade or business but a partial one. We have nothing to do with the policy of such a law. All we have to do is to take the words of the Contract Act, and put upon them the meaning which they appear plainly to bear. The view that Section 27 was absolute in scope, and allowed of no exceptions (but that of sale of goodwill, specifically mentioned) was stressed in several other subsequent decisions. As observed, however, by Sir Richard Couch …. we have nothing to do with the policy of the law, specially as the Legislature has deliberately left the provision in Section 27, in its original form, though other provisions of the Contract Act have from time to time been amended. The inference would be almost irresistible under these circumstances, that the Courts have rightly ascertained the intention of the legislature. The silence of the Legislature in a case of this description is almost as emphatic as an express recognition of the construction which has been judicially put upon the statute during many years past. Indian Courts have consistently refused to enforce post-termination non-compete clause in employment contracts viewing them as a restraint of trade imperative under Section 27. In Niranjan Shankar Golikari v. The Century Spinning and Mfg. Co. Ltd., AIR 1967 SC 1098, it was observed that it is a general principle of the Common Law that a person is entitled to exercise his lawful trade or calling as and when he wills and the law has always regarded jealously any interference with trade, even at the risk of interference with freedom of contract as it is public policy to oppose all restraints upon liberty of individual action which are injurious to the interests of the State. An employer, for instance, is not entitled to protect himself against competition on the part of an employee after the employment has ceased but a purchaser of a business is entitled to protect himself against competition per se on the part of the vendor. This principle is based on the footing that an employer has no legitimate interest in preventing an employee after he leaves his service from entering the service of a competitor merely on the ground that he is a competitor. A similar distinction has also been drawn by Courts in India and a restraint by which a person binds himself during the term of his agreement directly or indirectly not to take service with any other employer or be engaged by a third party has been held not to be void and not against section 27 of the Contract Act. Agreements of service, containing a negative covenant preventing the employee from working elsewhere during the term covered by the agreement, are not void under Section 27 of the Contract Act, on the ground that they are in restraint of trade. Such agreements are enforceable … the doctrine of restraint of trade never applies during the continuance of a contract of employment; it applies only when the contract comes to an end. It has similarly been held in Central Inland Water Transport Corporation Limited and another v. Brojo Nath Ganguly and Another, 1986 (3) SCC 156, Wrap Knits Pvt. 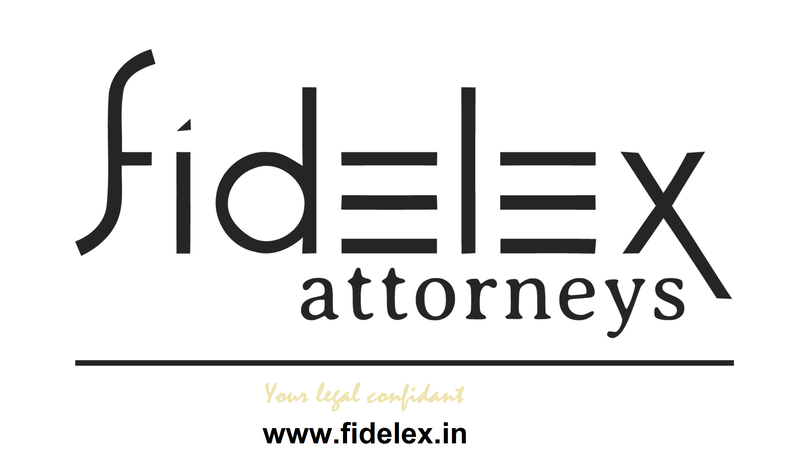 Ltd. & Anr v. Anju Sharma 2009 (110) DRJ 106 (Delhi H.C.) that an agreement/contract, which has for its object a restraint of trade, is prima facie void. If the terms of contract are unconscionable, unfair, unreasonable, arbitrary and opposed to public policy, they are void under Section 23 of the Contract Act as also violative of Article 14 of the Constitution even if accepted between the parties. Shri Shanti Bhushan has submitted that these observations must be confined only to contracts of employment that this principle does not apply to other contracts. We are unable to agree. We find no rational basis for confining this principle to a contract for employment and excluding its application, to other contracts. The underlying principle governing contracts in restraint of trade is the same and as a matter of fact the courts take a more restricted and less favourable view in respect of a covenant entered into between an employer and an employee as compared to a covenant betyyeen a vendor and a purchaser or partnership agreements. It has been similarly held in Taprogge Gesellschaft MBH v. IAEC India Ltd. AIR 1988 Bombay 157. Percept D’Mark (P) Ltd. v. Zaheer Khan (2006) 4 SCC 227; Brahmaputra Tea Co., Ltd. v. Scarth, (I.L.R. (XI) Cal. 545) and Wipro Ltd. v. Beckman Coulter Intl. SA (Delhi H.C. 2006) too discuss this scenario. Indian Partnership Act, 1930 too makes provision for enabling partners to impose covenants of restraint of trade in certain cases. Because of elements of mutuality involved in a contract of partnership, such reasonable restrictions are imposed.